Children born on or around the same day may often have very different skills and abilities as they grow. Despite being roughly the same age, one may start walking at 9 months, for example, and the other may not start walking until 12 months. This slight difference is normal as every child has a unique pace of development. In this case, both fall within the standard timeframe for this milestone (between 9 and 15 months). However, when new skills do not emerge during normally acceptable timeframes, the child may be developmentally delayed. Incorrect use of forceps or vacuum extractors during delivery. Because these mistakes lie in the realm of medical expertise, the doctors who allow these errors to happen are committed medical malpractice. Delays can occur in all five of these areas or just one or some. Because each area is related to the others, if there is a delay in one its likely there will be some delay in other areas as well. For example, if there is a delay in language skills, a problem in cognitive development may coexist. Pediatricians and specialists conduct screening tests and in-depth evaluations to diagnose delays. It is estimated that about 10% of all infants through preschool aged children are developmentally delayed. The causes are typically categorized as genetic or environmental. Genetic causes are inherited from the biological parents. These delays stem from genetic or chromosomal abnormalities like Down’s Syndrome and account for roughly 15-25% of developmental disorders. In many cases, developmental delays are accompanied by (or are a result of) another disability such as cerebral palsy. Often, developmental delays are a result of a doctor or other healthcare provider’s negligence, making them preventable. 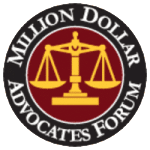 If your child has been diagnosed with developmental delays – with or without other disabilities – a review of medical records can determine whether negligence played a role in causing your child’s problems. 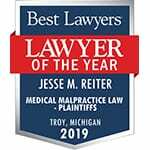 Call Reiter & Walsh ABC Law Centers in Detroit, MI for a free case evaluation. We specialize in birth injury cases and can help you obtain the compensation your child deserves.